Have you heard of any of these movies coming out? I've listed a few of the fifty or so movies yet to make their 2016 appearance. Some of us don't get out much, but once in awhile I like to look ahead and see if there's anything I feel I must see. No, nothing so far, but in case you, too, have no idea what movies are ahead, here's a short list. (I'm sticking with Masterpiece Theater) Maybe they'll go on your NetFlix queue next year... Tell me what you think! What movies have I left off the list? What are you planning to see this fall? 1810. After the wreck of his ships, a financially-ruined merchant (André Dussollier) exiles himself in the countryside with his six children. Among them is Belle (Léa Seydoux), his youngest daughter, a joyful girl full of grace. One day, during an arduous journey, the merchant stumbles across the magical domain of the Beast (Vincent Cassel), who sentences him to death for stealing a rose. Feeling responsible for the terrible fate which has befallen her family, Belle decides to sacrifice herself and take her father's place. At the Beast's castle, it is not death that awaits Belle, but a strange life in which fantastical moments mingle with gaiety and melancholy. Every night, at dinner, Belle and the Beast sit down together. They learn about each other, taming one another like two strangers who are total opposites. When she has to repulse his amorous advances, Belle tries to pierce the mysteries of the Beast and his domain. And when night falls, the Beast's past is revealed to her bit by bit in her dreams. It is a tragic story, which tells her that this solitary and fearsome being was once a majestic prince. Armed with her courage, ignoring every danger, and opening her heart, Belle manages to release the Beast from his curse. And in doing so, she discovers true love. This is a case of stick with something that works, I guess. But will there be a great library and what about Mrs. Potts? Yes, It's Disney. Capt. Chesley Sullenberger, a pilot for more than four decades, is catapulted to fame after birds fly into the engines of flight 1549 on January 15, 2009, crippling the jet. He lands the plane safely on the surface of the Hudson River, saving the lives of all 155 passengers on board. I was hoping this was the movie version of Doctor Quinn, Medicine Woman, but this one does sound compelling. It was a fascinating true event that added to my dislike of flying in the winter. One was enough for me. Oh dear. Now you'll wonder what is wrong with me. Other than Colin Firth in the ugly jumper, this franchise just didn't win me over. I tried. I really did. So I won't be seeing this one, though Renee Z was super in the original. Again? the original movie was good. The tv show was good. Let's see how this one goes. But. 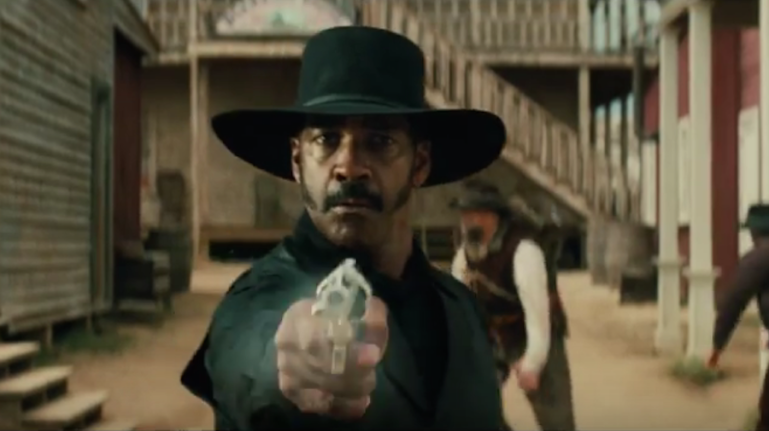 Denzel. So, yes. 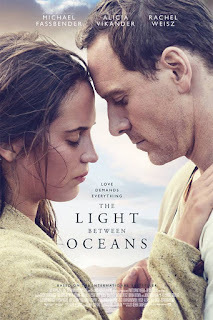 This one caught my eye for title, and then the actors--Judy Davis and Kate Winslet. I'll be watching for this one on Amazon Prime someday. The Helmsworth factor should make this a hit. I hope this is as good as it sounds, but it's going to be a rough one, emotionally. In the thriller, Rachel (Emily Blunt), who is devastated by her recent divorce, spends her daily commute fantasizing about the seemingly perfect couple who live in a house that her train passes every day, until one morning she sees something shocking happen there and becomes entangled in the mystery that unfolds. I happened to be listening to this audiobook when I learnd that it was going to be a movie. From then on, I pictured the lead , Rachel, as Emily Blunt. The book is like watching a train wreck. Makes you glad your life has less drama. Depressing but I kept listening and it should make a hit movie, despite the F Bombs. A Boston-living ne’er-do-well plumber is forced to return home to the titular town after he learns his brother passed away. There, he finds himself thrust into the care of the man's 16-year old son but finds himself crumbling due to a secret tragedy in his past. I added this to the list because I happen to like Manchester-by-the-Sea. There's a great bookstore there! It's my list, so I get to make the rules. It’s Hollywood, 1958. Small town beauty queen and devout Baptist Marla Mabrey (Collins), under contract to the infamous Howard Hughes (Beatty), arrives in Los Angeles. At the airport, she meets her personal driver Frank Forbes (Ehrenreich), only two weeks on the job and also from a religiously conservative background. Their instant attraction not only puts their religious convictions to the test, but also defies Hughes’ #1 rule: no employee is allowed to have an intimate relationship with a contract actress. But Hughes’ absurd behavior intersects with Marla and Frank in very separate and unexpected ways, and as they are drawn deeper into his bizarre world, their values are challenged and their lives are changed. Warren Beatty as Howard Hughes. I'll be interested to see how this one does. It's not grabbing my attention but I like to be surprised (with movies only. Don't get any ideas). 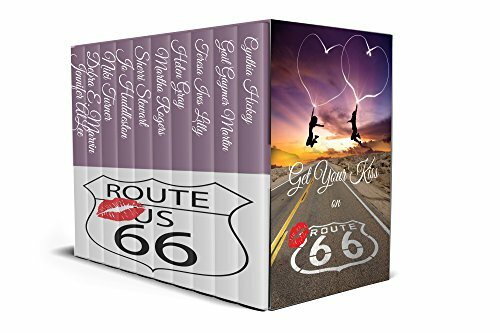 But if you like to read and make your own popcorn at home, here's the link to the Route 66 Boxed Set. GET YOUR KISS ON ROUTE 66. I haven't even seen Cinderella yet! I'll try to catch Beauty and the bReast on DVD too. I've only seen Love and Friendship in the last year. One movie a year is typical for me, too. Trying to remember the last real movie I saw. Must have been The Battle of the Five Armies. I haven't heard about any that make me feel I must go see them. I did see live action Cinderella on DVD. Enjoyed it very much, though I can't say it's vital to see it. Very cute though and well done. I've seen Love and Friendship this year. That's one. Last year? CAn't recall. Nothing since Austenland and Jane Eyre. I see a disturbing trend here. Not much new on dvd, either! sigh. Cinderella is on the list. Well, we have Poldark Season Two, so who needs the movies! I cannot wait for Beauty and the Beast. It's my favorite Disney movie ever, and I'm eager to see the redo with humans. And Dan Stevens as the Beast and Ewan MacGregor as Lumiere? Are you kidding me? Opening Day, baby. Ah, Aidan Turner, er, I mean Poldark . . . Thanks, Deb. I'm seeing some of the previews on TV now and a couple look intriguing. We'll have to see how it goes. I appreciate your insight.